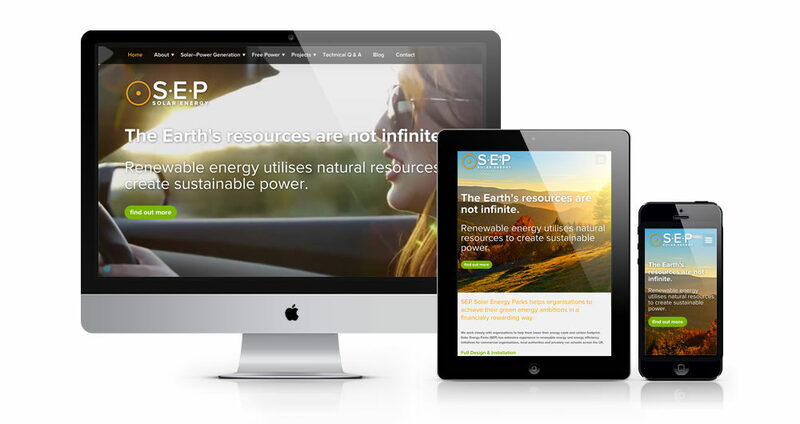 Website for SEP Solar who help organisations achieve their green energy ambitions. Solar Energy Parks has extensive experience in renewable energy and energy efficiency initiatives for commercial organisations and local authorities. Pixel Air were commissioned to come up with professional new corporate identity, responsive website and printed literature. 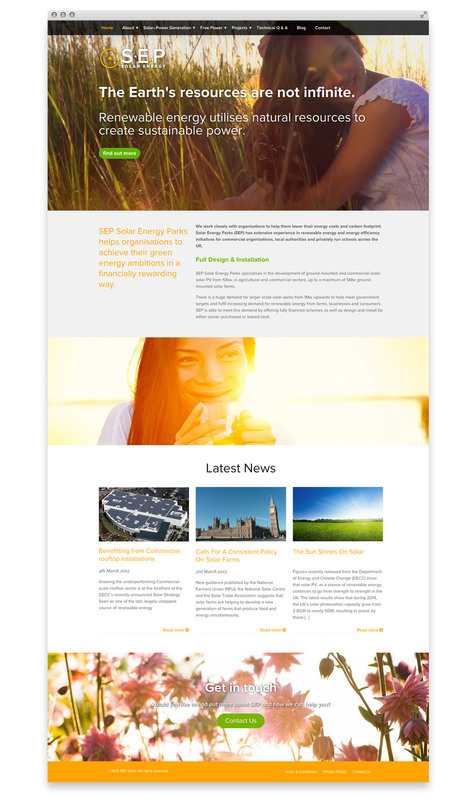 Part of the brief and challenge was to avoid using obvious imagery depicting solar panels. So instead we opted for a selection of subtle yet emotive images that give the impression of warmth and sunshine.